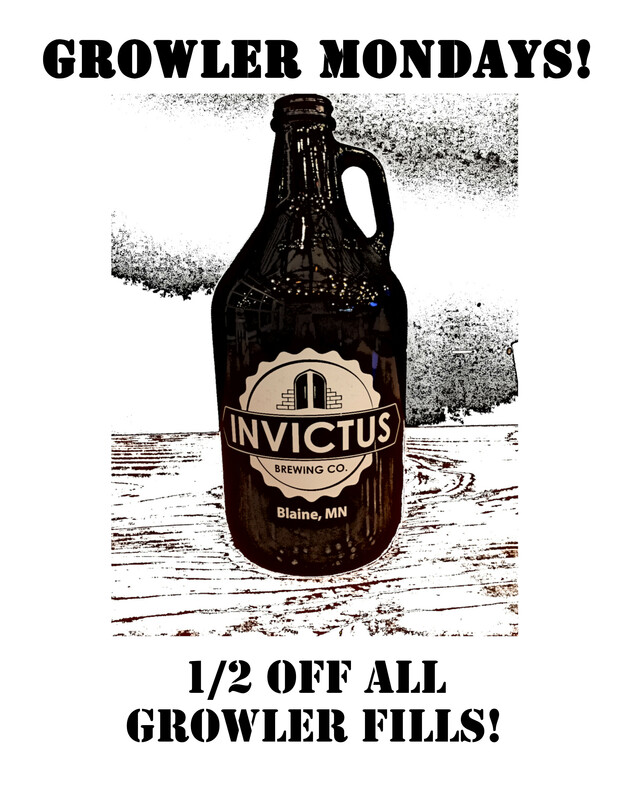 Join us on Monday’s for 1/2 Price Growler Fills! All Beers are Eligible! Join us every Tuesday from 7-9 pm for Trivia! 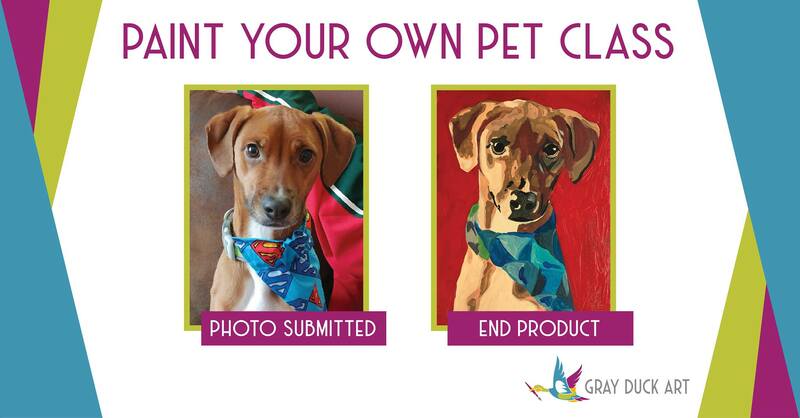 It’s free to play and the prizes are great! Bring in a team or test your own knowledge! Tonight the tap room will be closing at 5pm for our first ever Brewer’s dinner. Sorry for the inconvenience. If you’re interested in getting tickets, Click Here. 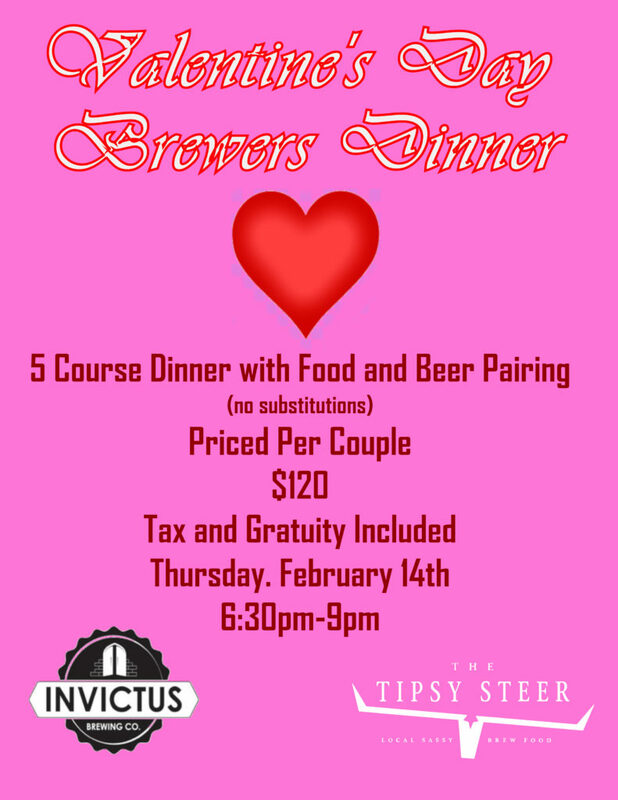 Come join us for the first ever Invictus and Tipsy Steer Brewer’s Dinner! It will be a five course dinner paired with the perfect beer for each dish. The price is per couple and includes both tax and gratuity. No substitutions and no modifications.